Østerbro Library in Copenhagen has become the first public library in Denmark where visitors can read and borrow a number of publications for children in English, French, German and Spanish. 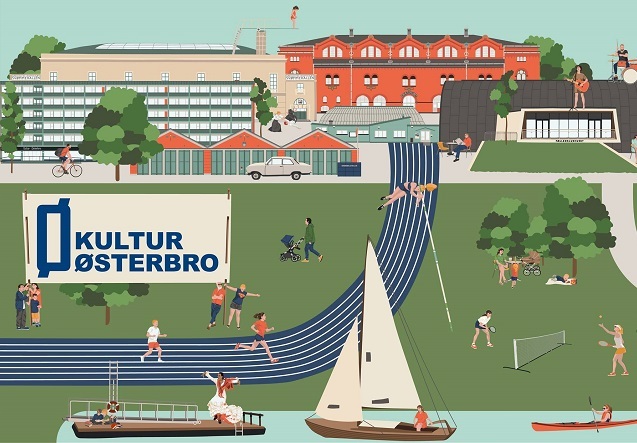 According to Østerbro’s culture network, Kultur Østerbro, the newest publications can be read at the library (but not checked out), while older issues can be checked out and read at home. “As of now we will carry, Storytime, Discovery Box, Story Box, Adventure Box, Gecko (German), GEOmini (German), Astrapi (French) and Histories Pour les Petits (French),” Østerbro Library wrote on Facebook. In response to the continuing influx of expats to Copenhagen, Kultur Østerbro has stepped up its offerings of culture in English recently. Earlier this month, Kultur Østerbro hosted an English-language walk and talk in collaboration with ‘Street Voices’ a Copenhagen-based social enterprise for the socially vulnerable. Other recent and upcoming events includes urban explorations in the city, baby workshops, a readathon and a big one-day Bollywood festival.